Nothing is more important for your home than knowing that it remains safe and secure. A professionally installed and set-up security system tailored for your house will not only help protect it, but also provide the most valuable gift of all: peace of mind. Security Connection, a division of Electrical Connection, Inc., provides home security systems installation in Avon, CT. We are proud to offer the excellent GE Concord Express™ security system, one of the most affordable and easy to use home protection systems on the market. Call our technicians today to learn more about the GE Concord Express™ and the other ways that we can provide you and your family with a safer and more secure home. The Concord Express™ is a network of both wireless and hardwired devices placed throughout a home, creating up to 24 different monitored zones, with the option to expand to even more. The devices provide 24/7 monitoring to detect intruder alerts through motion detectors and contacts on two exterior doors. The Concord Express™ doesn’t just guard a home against intrusions: it also serves as a smoke detector. Up to ten of the devices in the home can be installed as smoke detectors, providing a network of fire security that you cannot receive from standard smoke detectors. You can also have the network set up to activate outside lights and other external devices in case any of the alarms activate. The GE Concord comes with an easy consumer interface through alpha-numeric keypads. The system also allows for custom-tailoring to provide everyone in the household different levels of access privileges. And by using GE Security’s ToolBox software installed onto a computer, you can access the system remotely through the Internet. In addition to the security the Concord Express™ offers your home, it will also save up to 20% off most homeowner’s insurance. Considering the affordable cost of installation for the system, a GE Concord Express™ can almost pay for itself. Although the Concord Express™ security system is simple to use, the installation process is complicated, especially if you plan for a large number of zones. It requires home security specialists to hook up the system and create a network that will provide you with maximum fire and intruder protection. 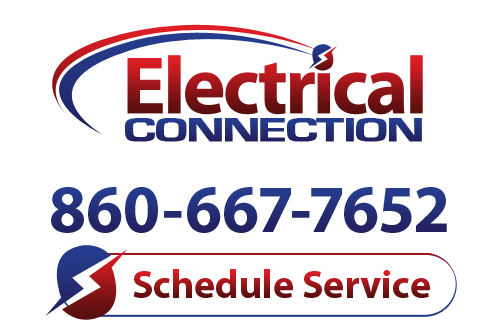 Call Security Connection, a division of Electrical Connection, Inc., to inquire about how we can install a GE Concord Express™ to protect your home. We handle numerous types of security systems installation in Avon, CT, and we will find one that fits your home and budget.